Haiti has every potential to become an ideal location for every entrepreneur. It offers ample opportunities to invest and start business in some of its emergent sectors like, Energy, Agro-Industry and organic foods, Manufacturing, including textiles and apparel, Construction and building materials and Tourism including hotel furnishings and equipment. For U.S firms, interested to do business in Haiti, their first point of contact should be the U.S. Department of Commerce. The United States Export Assistance Center offices in the U.S as well as the Commercial Service (CS) offices located abroad will guide any interested U.S. firm of the best methods for finding an agent or distributor in Haiti. Since October 2011, the Commercial Section of the US Embassy in Port-au-Prince became a Department of Commerce Partner Post. 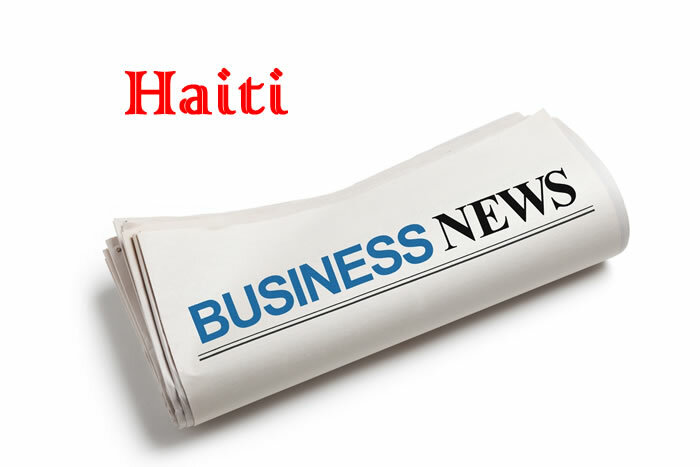 Preparing the company statutes like Articles and Memorandum of Association normally take 10 days in Haiti with fees around HTG 15,000 - HTG 25,000, while registration with the Ministry of Commerce takes 78 days on average. Haitian law protects copyrights, inventions, industrial designs and models, patent rights, special trademarks, manufacturer's marks, and business names. 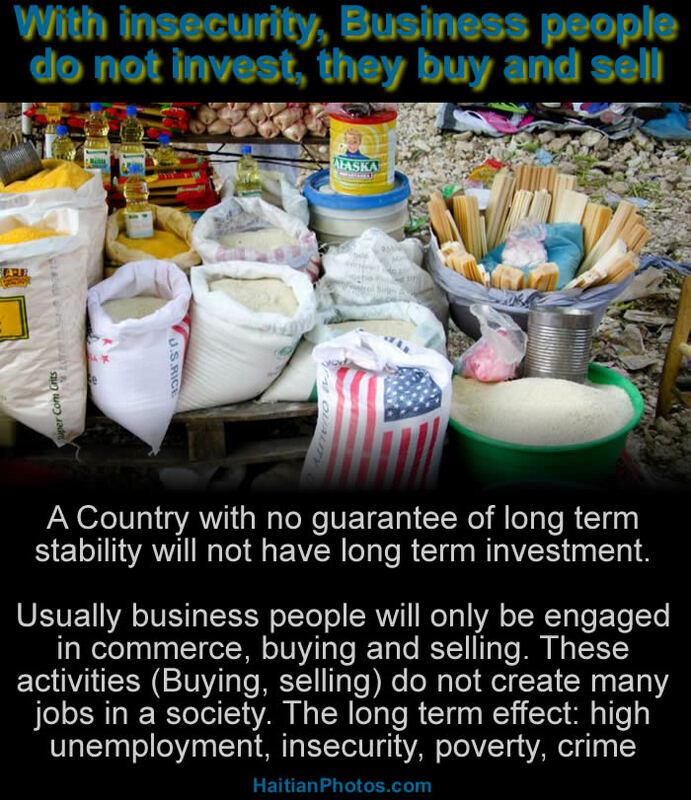 Haiti's legislation encourages foreign direct investment. Import and export policies are non-discriminatory and are not based upon nationality. Most Haitian businesspersons speak English fluently. The Overseas Private Investment Corporation (OPIC) offers insurance against political risks and financing programs for U.S. investments in Haiti. The insecurity continues to show its head in Haiti and nothing or no one can feel secure in this country. 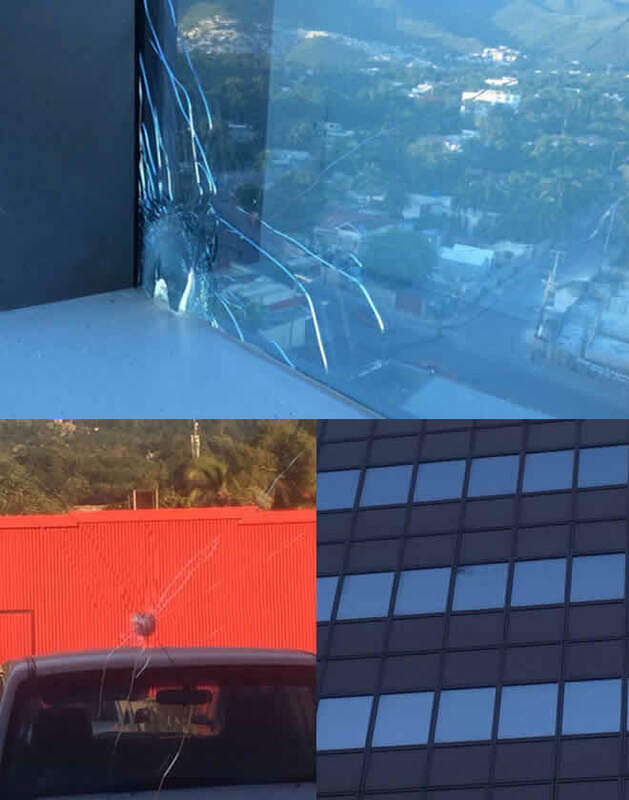 We have pictures to demonstrate that some of the biggest businesses in the country have now been targeted. 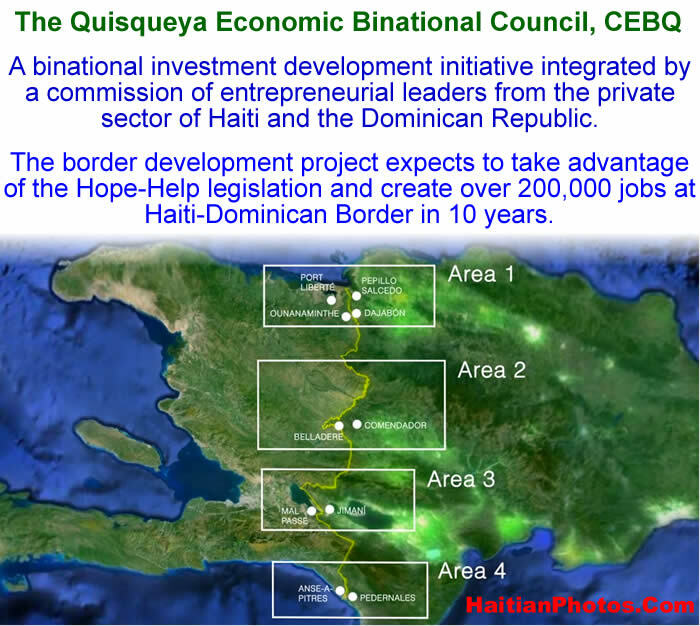 On Friday, April 15, 2016, at the office of the International Finance Corporation (IFC), the Binational Economic Council Quisqueya (CEBQ) has submitted its project on the development of Haitian-Dominican Border Trade. The proposal indicates how the border development projects can benefit the inhabitants of both the nations. 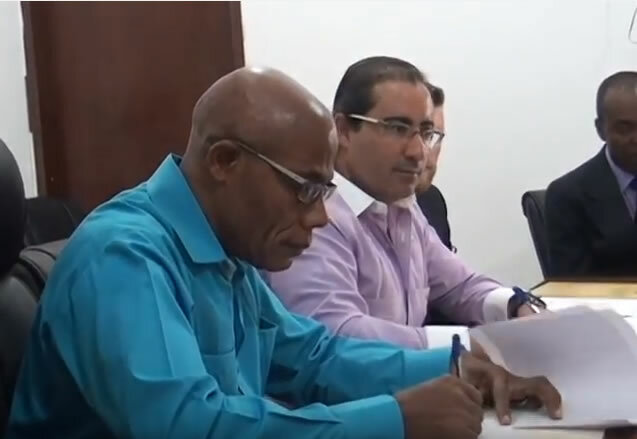 The Industrial Development Corporation of the Dominican Republic involved in the project, presently has employed 8,000 of its workforce and they believe there would be job opportunities for about 200,000 people within next 10 years. Population growth in both the countries is a fact that none can ignore. IFC, a part of the World Bank, was created in 1956 with an objective to assist economic development by encouraging the growth of productive private enterprise in its member nations, particularly in the underdeveloped areas. Thus, we should make them understand the need to invest and assist the Binational Economic Council Quisqueya in every possible way. Marc Antoine Acra, as the Director General of the company categorically rejected this statement as derogatory rumors and said an American freight company chartering boats for NABATCO receives payments of the freight and is fully responsible for the contents of the cargo loaded on the ships. These cargoes were accepted under the supervision of Colombian port authorities, checked by the narcotics control authorities and the security service before leaving the port of Buenaventura. NABATCO is nothing more than a vessel owner, and cannot be held responsible for any act performed beyond the limits its knowledge. Danton, as the new Government Commissioner, has issued travel interdiction for several individuals, including Alix Celestin on the belief that it could bring light on the matter. There was a single contract between the State and NABATCO valuing between 700 and 800 million gourdes, but that was awarded without any tender. The act of Mr. Alix Célestin was beyond his authority as there was no proper tender that allowed Acra to carry the load aboard Vessel Manzanares. The ship with a Panamanian flag as per declaration was supposed to carry a cargo of sugar for NABATCO commissioned by the company of Marc Antoine Accra. 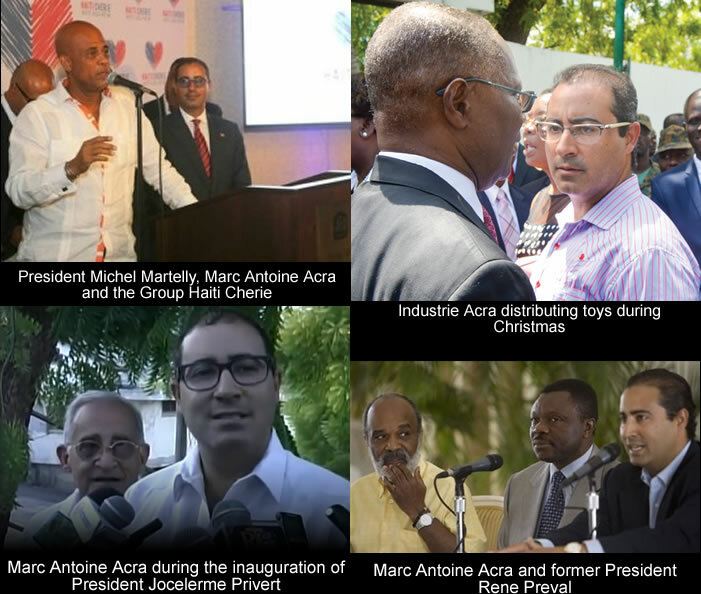 Marc Antoine Acra is a member of the powerful Acra business family in Haiti. On December 9, 2015 the Ministry of Agriculture in Haiti entered into an agreement with businessman Marc Antoine Acra where his business NABATCO where would have the right to sell and distribute the product "VITAZYME" to allow Haitian farmers to farm. Marc Antoine Acra believes that his product is going to help growers and farmers to get better results. In May 2006, when President René Préval was taking oath of his presidency, Coutard felt determined to make his dream come true. He took this as a challenge. His first step in achieving his dream was to win a scholarship from Canada to learn coach design. While studying in Canada, he took a part time job. He used his earnings to import various body parts from the UK, Australia and Canada. He waited a long time to find the right time to launch his dream. Following the 2010 earthquake, he returned home and began production with his family firm, 'Coutard Motors'. On 22 August 2013, his dream came true. The first prototype bus made in Haiti was presented at the Metropolitan Industrial Park SONAPI in the presence of several ministers and members of the Government. Wharf Jeremie, in the commune of Cite Soleil. Here is a picture of the new Wharf Jérémie, in the commune of Cité Soleil. 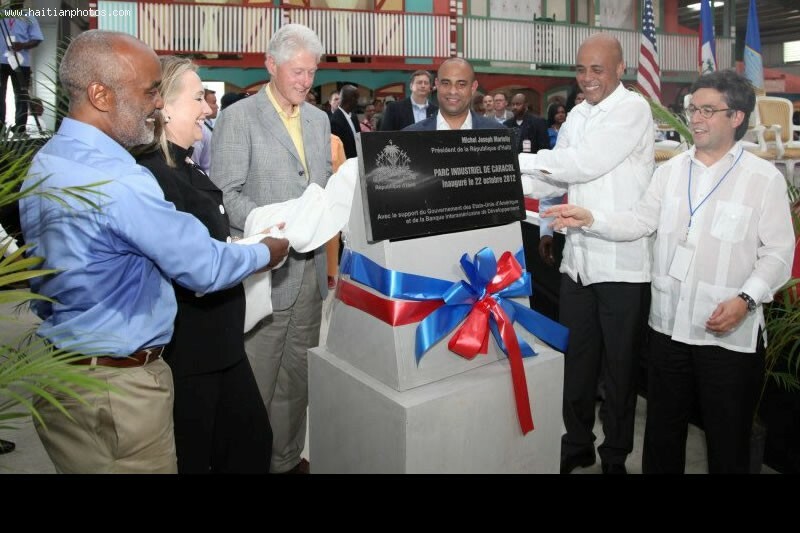 The project was initiated in November 2013 under the various five year action plans undertaken by the Martelly Administration to put Haiti on the road to prosperity by building supportive infrastructure to rejuvenate its competitiveness and facilities for development. To allow the implementation of the project, 323 families were relocated. They voluntarily dismantled their homes and shifted to makeshift shelters or houses. 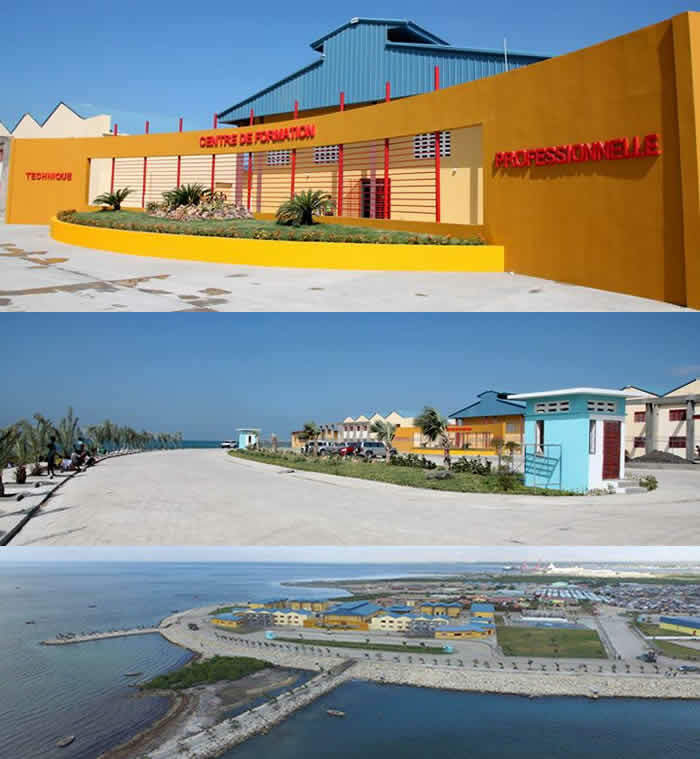 The plans undertaken by his administration also include the construction of the Port of Petit-Goâve, the North Quay of the Port of Port-au-Prince, and the construction of the Unit of Port of Cabotage of Jérémie and of La Saline.